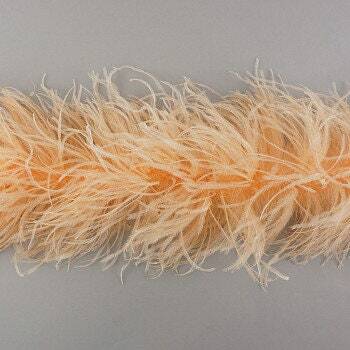 Three Ply Ostrich Feather Boas with Solid Colors are 2 yards (6 ft) long, and approx 9" in diameter. 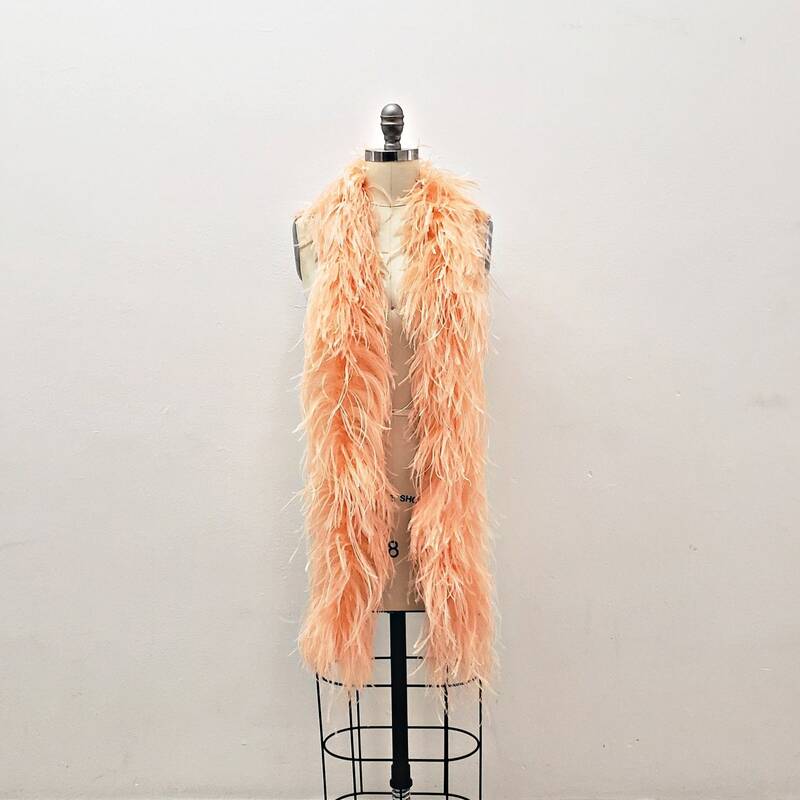 This is one of the thickest Ostrich boa we offer. 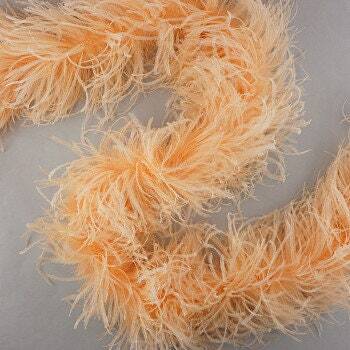 Ostrich boas can be cut without unraveling as feathers are sewn on to a cotton cord.